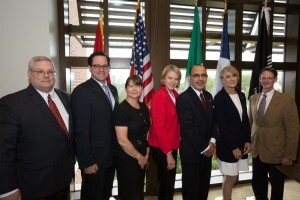 Consul General of Canada, Ms. Paula Caldwell St-Onge, the Consul General of Mexico, Dr. Jose Octavio Tripp meet with Texas Energy Council officers Gary Stone, Glen Gantt, and Josephie Jackson, along with representative from the Bush Institute. 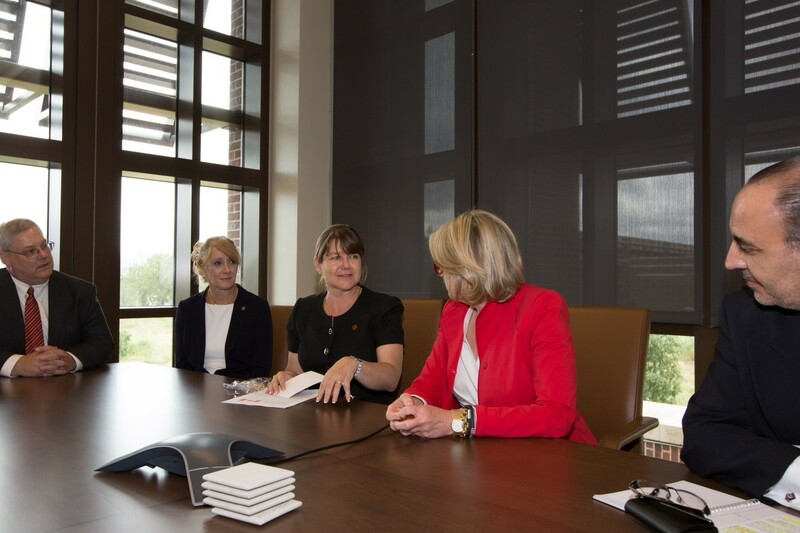 Texas Energy Council officers Gary Stone and Josephie Jackson discussing policy with Consul General of Canada, Ms. Paula Caldwell St-Onge, the Consul General of Mexico, Dr. Jose Octavio Tripp at the Bush Institute. 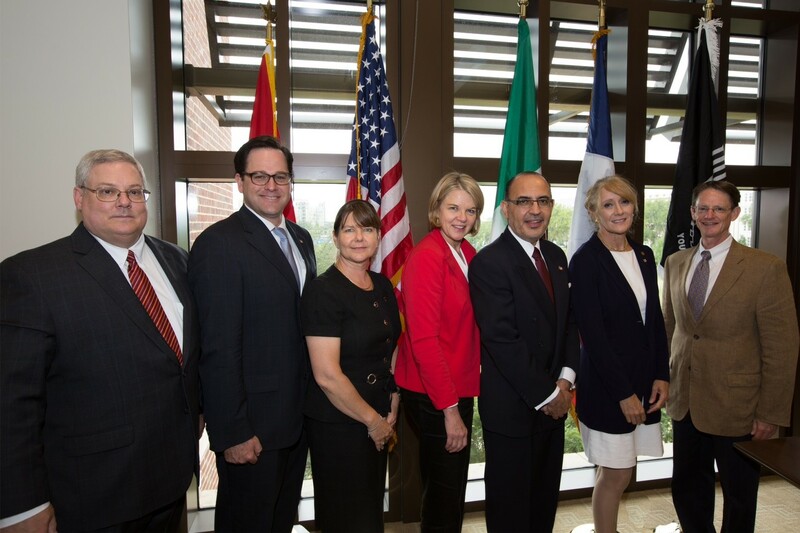 The Texas Energy Council was proud to work alongside the Consul General of Canada, Ms. Paula Caldwell St-Onge, and the Consul General of Mexico, Dr. Jose Octavio Tripp, to graciously presented the Bush Center with the Canadian, Mexican and Texas flags. As they did so, their leaders noted the Institute’s economic growth initiative is re-focusing its work on the potential of an integrated North American economy. More of the story available on the bush institutes blog below.